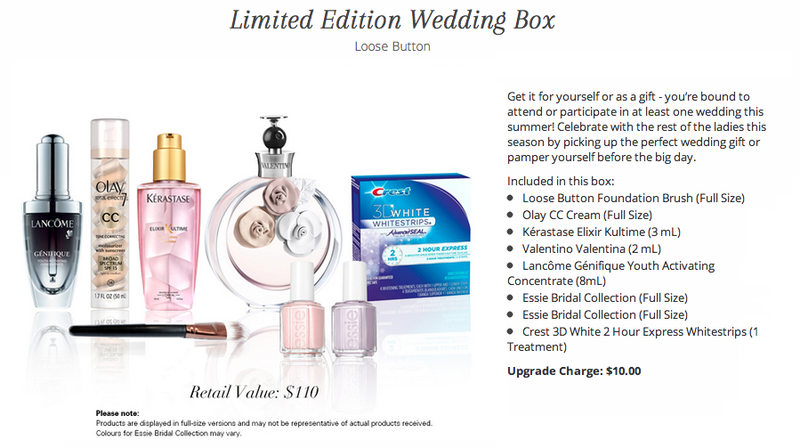 Loose Button is doing something a little different for their Summer Luxe Box. 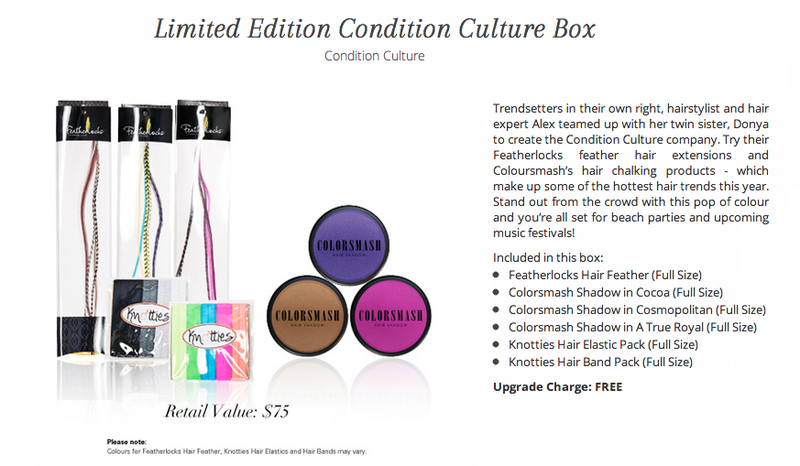 In addition to their regular Summer Luxe Box, they have four specially themed boxes you may choose from instead. How fun! I love when there's an element of customization. Here's a better look at each of the limited edition boxes. All the products you may received are listed, as well as how big of a sample you receive (whether full size or deluxe sample). Some of these boxes have an additional upgrade cost -- so that's an extra few dollars on top of the cost of a regular box (which is $26) -- and some of them are free to upgrade. Depending on what kind of products you're interested in receiving, the additional upgrade fee will probably be worth it. So many fun boxes to choose from! I spy the new Olay CC Cream, too. That doesn't hit shelves until August! There's a box for everyone, really. 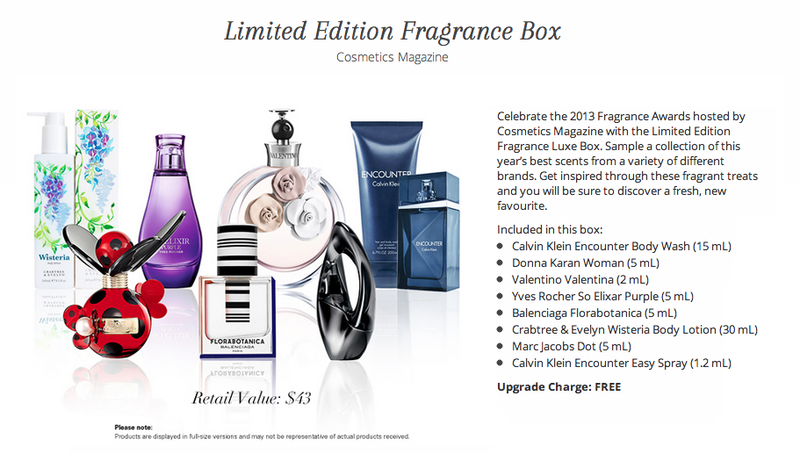 One for the fragrance lover, the hair lover, the bride-to-be or the wedding-guest-to-be, and the trend-setter. If you're not interested in any of these, of course you can stay with the regular Luxe Box. I'm certain it will be just as lovely. There's only a limited supply of each box, so if you're interested in any of them, I'd pop over to Loose Button's website asap. If you're not subscribed to Loose Button's seasonal Luxe Boxes yet, click here to sign up*! (*) Asterisk denotes a referral link. No monetary compensation is being received from any click-throughs. I chose the Loulou box. It looks like a good mix of products and the Cake hand cream sold me! The regular boxes are out & they have many of the same samples as these special boxes.If I paid to upgrade I would be upset.